Japan Photo etablerades i Danmark 1985. I Norge öppnades den första butiken i Oslo sommaren 1990. Under årens lopp har det tillkommit ytterligare 22 butiker runt om i Norge. Den första butiken i Sverige öppnades i Göteborg 2001 och några år senare i Malmö, därefter i Skövde och i Stockholm. Totalt har vi 7 butiker (än så länge) i Sverige. Japan Photo har även ett antal nätbutiker i såväl Norge som Sverige och nu även i Finland. Kedjans huvudkontor ligger i utkanten av Oslo. Japan Photo ägs av CEWE Color som är Europas största fotolabb med verksamhet i 14 olika länder. Japan Photo har sedan starten varit känt för hög kvalitet, stort urval och låga priser – oavsett om det gäller framkallning, CEWE FOTOBÖCKER, fotocanvas, digitalkameror, objektiv, eller tillbehör. Nya spännande erbjudanden lanseras varje månad och vi har ett brett sortiment av tillbehör som exempelvis minneskort, kameraväskor, album, albumtillbehör, film, ramar och mycket, mycket mer. Vår webbutik japanphoto.se är en trygg och säker sida för framkallning av bilder samt köp av digitalkameror och tillbehör. Här kan du handla allt du behöver för att ta bättre bilder. Japan Photos produkter har i flera olika sammanhang blivit utsedda till bästa produkt - CEWE FOTOBOK - Bästa fotobok - EISA Awards 2009-2010, Europas Bästa fototjänst - TIPA Award 2008. Här på hemsidan hittar du inte bara fotoprodukter utan även information om hur du får ut mer av dina bilder, bland annat med hjälp av vår gratis fotoprogramvara, och tips för att göra dig till en bättre fotograf (fotoskolan). CEWE Color har på europeisk nivå cirka 600 egna fotobutiker, cirka 3500 medarbetare och levererar årligen mer än 3 miljarder färgbilder till sina kunder. Dessa bilder skulle räcka 9 varv runt jorden om du lade dem efter varandra! De senaste årens starka satsning på digital teknologi och internetverksamhet har gjort CEWE Color till en av de främsta inom digital bildproduktion. Vi har också effektiviserat produktionen så att du ska få dina bilder och andra produkter levererade så snabbt som möjligt. Vi på Japan Photo och CEWE Color gör vårt yttersta för att dina bilder ska hålla högsta möjliga kvalitet, oavsett om du beställer framkallning, förstoringar, CEWE FOTOBÖCKER eller fotopresenter, och att du som kund ska få tillgång till spännande bildprodukter till bra priser. Välkommen som kund och tveka inte att kontakta vår kundservice om du har frågor eller synpunkter! CEWE Sverige AB är ett dotterbolag till CEWE, och omfattas därför av samma riktlinjer. We traditionally manage our operations in accordance with national and international laws as well as with generally accepted ethical principles. This is the guiding principle that characterises our corporate culture, which is shaped by integrity, trust and responsibility. 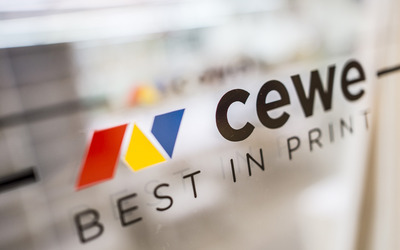 Our CEWE Group is the leading photo service provider and technology leader in industrial photofinishing in Europe. Our objective is to defend and extend this leading position. We solely wish to achieve this objective through our performance, honesty and correct and proper business practices. Customer focus, the quality of our products, the highest level of innovative strength and the good reputation of our Group are at the heart of all our actions. Our reputation is an essential basis for successful cooperation. The CEWE Group, as a company, acts in a responsible, strategically clever and cost-conscious manner, now and in the future. It places values on persuading customers with qualified employees and high-quality products. This includes the consistent loyalty of our employees, who also take responsibility in their private lives. Each and every person makes a fundamental contribution to this. We feel beholden to a just world of work: our members of staff are our greatest asset. Our corporate culture is characterised by partnership and respect for the individual. Well-informed and motivated staff, who identify with the company and its basic values, are the guarantors for quality, efficiency, innovative capability and growth. Our partnership-based management understanding is based on mutual trust, respect of each individual and the principle of delegated responsibility. There is a clear will towards employee loyalty within the Group. The Board of Management, senior employees and members of staff are of the firm conviction that the compatibility of work and family is desirable. Our employees enjoy maximum possible freedom and participate both in decision-making processes and the economic success of the company within the context of their responsibility. The companies in our Group are managed by Managing Directors and responsible people who think and act in an entrepreneurial manner. They enjoy wide-ranging independence and assume comprehensive responsibility. In return, we expect our members of staff to identify with our aims and show loyalty to the interests of the entire company. Our relationships with our business partners are characterised by trust and fairness and are based on honesty and dependability. We are reliable partners and expect that the applicable laws and regulations are observed in all aspects of the business. We therefore do not accept any conduct that challenges or jeopardises our integrity. We have a duty to practise fair competition and attach great importance to innovative quality and performance. The company rejects illegal arrangements or sham offers. As a consequence, we do not wish to win orders by granting or offering unauthorised benefits. Our shareholders also regard ownership as an obligation to society. They consider that the company is legitimised in the economy by making a contribution to society. Our Group and its employees uphold the law and legislation. They conduct themselves, both internally and externally, in a responsible manner and are guided by ethical principles. These principles include honesty, integrity, loyalty, fairness, tolerance and transparency. We have a particular obligation to protect our employees and the environment and do so through our sustainability. This also includes the company's social responsibility and compliance with the highest ethical standards. This is also underlined by our strict rejection of products produced using child labour. Our corporate guidelines are subject to a continuing process of critical review and development. We expect all employees to adhere to these objectives and basic values and always act accordingly. Executives and managers have a duty to exemplify this responsibility and act as role models. This Code of Conduct is a mandatory guideline for all employees of the company and all subsidiaries. Where national laws prescribe stricter rules and regulations for foreign subsidiaries, they will take precedence. The Code of Conduct is based on our ethical values and the corporate principles founded on them, characterised by integrity and loyalty. As an honest entrepreneur, we feel obliged to conform to the most exacting ethical standards. We feel a high level of responsibility towards our customers. Our customers as well as our business partners can trust us. This involves, in particular, the fact that we always uphold the law and legislation, are fair in competition and are a reliable partner to customers and business partners. We are convinced that this is the only way to ensure competitiveness and, thus, lasting employment and economic success. The Code of Conduct cannot and does not set out to regulate everything. It comprises principles and minimum standards, which are binding for all employees alike, and have to be exercised and practised by them. Beyond this, we all wish to encourage anyone who cooperates with the company to adopt these principles as well. integrity and correct behaviour determine our actions. Our actions are shaped by our aim to safeguard and expand the leading position of the CEWE Group as Europe's leading photo service provider. Our business relations are professional and free from unfair practices. We avoid conflicts of interests between the CEWE Group and private interests. We handle business information and operational secrets confidentially. We do not tolerate any abuse of a person's own position for personal gain, for the interest of third parties, or to the disadvantage of the CEWE Group. CEWE expects that all employees, customers and business partners are treated fairly and their rights and privacy are respected. There can be no different treatment based on gender, race, disability, origin, religion, age or sexual identity. The company does not tolerate sexual harassment. The company equally does not tolerate bullying and harassment. Indications of this can include the slander of a member of staff or his family, the spreading of rumours, threats, humiliation, abuse, harassment, treatment by superiors that harms a person's dignity or honour, derogatory treatment from superiors or colleagues and intentional withholding of information necessary for work. Any persons affected have the right to be heard and taken seriously by contacts, such as the person's superior, the Works Council or the HR department. Private and business interests must be strictly segregated. Business connections or contacts may not be used for a person's own or third-party advantage, nor be detrimental to the company. If in doubt, members of staff have an obligation to turn to their superior if there is a possibility or danger of conflicts of interest. They must contact their superior, the HR Department or the Compliance Officer for advice and assistance. Every member of staff may also contact the Works Council or the Ombudsman in this respect. To avoid conflicts of interest between the company and a person's personal life, members of staff should fundamentally refrain from commissioning business partners of the CEWE Group for private purposes. Should it become known in hindsight that a business partner of the CEWE Group has been commissioned for private purposes, this must be immediately brought to the attention of the Compliance Officer. CEWE employees have a duty to have any part-time work authorised by the HR Department/Executive Board. CEWE will revoke or refuse any part-time work if circumstances occur by means of which the part-time job impairs the completion of operational work for CEWE and/or contravenes legal or employment law obligations. Part-time work for a competitor or another business partner is not allowed on principle to avoid conflicts of interest. Significant shareholdings in other companies in a direct business environment (this includes competitors, customers and suppliers) are only permitted with the express written approval of the CEWE Executive Board. Significant financial shareholdings by close family members in a competitor, customer or supplier must be notified. Producers and suppliers are solely to be selected on the basis of fair competition and consideration of price, quality and suitability of their service. This applies equally to other business partners and service providers. Members of staff of the CEWE Group are prohibited from demanding benefits, or making or receiving promises from third parties with whom the CEWE Group is seeking to have or maintain a business relationship. Other benefits in kind include financial incentives, free and discounted provision of items for use, discounts, invitations for holiday trips or complimentary admission to special events. All CEWE members of staff must refuse always gifts. Should this be impossible for reasons of courtesy, these gifts should be immediately handed to the person's superior, HR Department or Compliance Officer. They will be used as donations in kind to charitable organisations or auctions in the employee's circle or for other corporate purposes. The offer of other benefits in kind must be notified to the responsible superior and documented. Deviations from this rule can be authorised by the Management in exceptional circumstances. The acceptance of cash is prohibited without exception. Private travel linked to business trips, or business trips may not be paid for by business partners or third parties. These business trips must be charged, without exception, in accordance with the applicable regulations governing travel expenses. Business meals, the venue, nature, frequency and extent of which represent normal business entertainment, that is to say represent justified business purposes, are permitted if an invitation is made voluntarily and within the reasonable course of ordinary business cooperation. However, any impression of influence over business decisions contrary to the rules should be avoided. This necessary sensitivity is expected from all members of staff. Invitations from business partners or service providers to other events (e.g. sporting or cultural events, in-house trade fairs, product information events, seminars, training courses etc.) are only permitted if the nature and extent of them is objectively deemed to be within a normal business framework. Authorisation of your superior is required in advance in each individual case. In principle all travel expenses and accommodation costs must be borne by CEWE. Members of the Management Board can accept invitations to events including appropriate entertainment if there is a business purpose, which serves the interests of the CEWE Group. No financial or other benefits are permitted to business partners, which could adversely affect the recipient's business judgement or lead to a conflict of interest. Other (especially financial) benefits to business partners may not be offered, promised or allowed. Gifts may be made within the usual context of a business relationship and of a reasonable material value. They may not be perceived as a benefit from the recipients, which could influence the recipient's business decisions in favour of the giver of the gift. Gifts may not exceed a value of €50.00 per person per calendar year. Deviations from this rule must be approved in advance by the Executive Board and should be reported to the Compliance Officer. Business meals, the venue, nature, frequency and extent of which represent normal business entertainment, that is to say serve justified business purposes, are permitted. Details of this are covered in the regulations governing expenses. Incumbents of political offices and representatives of local authorities or public institutions (officials) are obliged to uphold the common good. Therefore only appropriate gifts and gifts fitting for a certain situation are permitted, which correspond to accepted social rules of courtesy and do not lessen respect for the office or the political work (e.g. a bunch of flowers or a bottle of wine to mark a birthday, service anniversary or to mark the person leaving office). The CEWE Group makes donations for non-profit-making, social, cultural, sporting and scientific purposes in the scope of what is deemed acceptable in social life. It does not make direct or indirect donations to political parties or party-related foundations. CEWE opposes all forms of corruption and associated crimes. Corruption is strictly rejected and is not tolerated by our company. We understand corruption literally as meaning the misuse of the power entrusted in a person for personal gain. Under law these constitute the crimes of bribery, corruption, the acceptance of benefits and the granting of benefits (§§ 331 – 335 of the German Criminal Code). Bribery and corruption in the course of business transactions also constitute prosecutable actions, which carry a fine or prison sentence of up to three years, in serious cases up to five years (§§ 299, 300 of the German Criminal Code). CEWE combats and aims to prevent corruption through appropriate organisational measures and employee rules and regulations. In addition, the company undertakes everything possible to uncover corruption and associated criminal actions and to pursue this without distinction of the person. Members of staff who are exposed to attempted bribery must report this immediately to their superior and/or the Compliance Officer. Members of staff who suspect corruption or other criminal actions or serious irregularities should report their suspicions. Points of contact include immediate senior members of staff, the Compliance Officer and the Ombudsman for the combat of corruption appointed by the company. This person will record information about the circumstances of possible corruption, which he will treat strictly confidentially on account of his legal duty of confidentiality. He will only pass the circumstances onto the Compliance Officer if the informer expressly agrees to it. The identity of the informant will not be revealed if this is not wished. 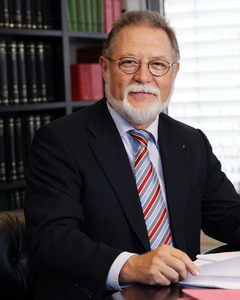 Involvement in a public or non-profit-making organisation, in associations or in public functions at a municipal or inter-regional level and the exercise of honorary positions is fundamentally welcomed by the company, providing the involvement or honorary position does not compromise employment commitments and can be reconciled with the person's position in the company. The assumption of this kind of involvement must be agreed with a superior or the HR Department. Company-related statements by executives to the public in interviews, talks or publications must uphold the interests and aims of the company in terms of their timing, framework and content. In all cases they should therefore be agreed with the Board of Management and, in the case of media contacts, also with the members of staff responsible for corporate communication. Each and every CEWE employee is obliged to handle company property in a responsible manner and protect it from loss, damage or misuse. Apart from the use of property, like PCs, machines etc., provided for use, this also includes immaterial goods, such as relevant data, business secrets, patents and trademarks. Company equipment or property may not be used for private purposes or removed from the company's premises without the express authorisation of the supervisor. A special work instruction governing the use of IT regulates details of the use of laptops, phones etc. Members of staff must maintain absolute silence about all operational and business secrets, both during the duration of their employment as well as after its conclusion. People who have insider knowledge of the CEWE Group may not trade in the company's listed securities. Insider information relates to all information not known to the public, which could influence the decision of an investor to buy, sell or hold a share in the company (§§ 13, 14 Securities Trading Act, WpHG). The CEWE Group maintains an insider directory listing all people with potential insider knowledge. Insider knowledge may not be passed on in an unauthorised manner to people outside the CEWE Group (e.g. journalists, financial analysts, customers, consultants, family members or friends). It should be ensured at all times that insider-relevant information is kept or secured under lock and key so that unauthorised persons do not have access to it. Each and every member of staff is responsible in his or her everyday work for complying with the rules and regulations contained in this Code of Conduct. Executives have a particular obligation to adhere to the principles in an exemplary manner and to present their own conduct as a role model for upright and loyal action. They must ensure, in particular, that this Code of Conduct is implemented in daily business life and is constantly put into practice. Any member of staff who contravenes this Code of Conduct must expect sanctions under employment law or even dismissal/removal from office without distinction of the person. If the company is damaged by infringements, then the company will seek damages/regress from the person responsible within the framework of legal possibilities. Charges will be brought in principle should there be suspicion of criminal activity. Members of staff should contact their direct superior or next higher superior with any questions about the Code of Conduct or uncertainties about correct conduct. Should this not be possible or wished, the member of staff can contact the HR Department, the Compliance Officer or members of the Works Council. Every member of staff also has recourse to our Ombudsman without this incurring any costs. Where the contract of employment or specific guidelines for certain employees contain further regulations, they shall retain their validity. The provisions of the respective contracts of employment apply. All pertinent operational rules and regulations must be upheld. The Code of Conduct is intended to evolve based on experience and will be improved if necessary. It should therefore be continuously checked and revised at the appropriate time. You can provide confidential information about irregularities discovered in the ordinary course of business here. CEWE is committed to the Code of Governance and consequential compliance principles. The success of our company has been based for almost half a century on the fact that we offer innovative products and services on competitive terms and deal with customers and business parters in a fair way. Illegal practices are incompatible with our basic values and corporate principles. We have therefore incorporated the Code of Conduct for the prevention of corporate criminality in our compliance system. Adherence to these regulations is intended to protect the company from improper conduct, which could subsequently lead to damage and loss of reputation. In this connection, we have appointed an external Ombudsman, to whom employees, as well as business partners and third parties can turn, if they wish to provide confidential information about suspected corruption, fraud, dishonesty or other serious irregularities. RA Dr. Buchert will handle all concerns confidentially. He is bound by the legal obligation to uphold confidentiality and will strictly observe your anonymity. Recourse to Dr. Buchert is not associated with any cost.